UV, UVA, UVB, SPF We see these abbreviations all the time, but what do they actually stand for and how do they affect you? We should start at the beginning. The sun emits sunlight in the form of energy. This energy is the basis of all life on Earth. The energy classification is based on a spectrum and that spectrum is broken down in to several parts. However, today we are only going to focus on the effects of two of the UV sections. UV stands for ultraviolet radiation, which is made up of UVA and UVB rays. We can think of UVA as ultraviolet radiation A, or the rays that cause us to age, and UVB as the ultraviolet radiation B, or the rays that cause our skin to burn. UVA penetrate deeper in to the dermis and cause damage to the collagen and elastin found there, resulting in wrinkling and sagging of the skin. 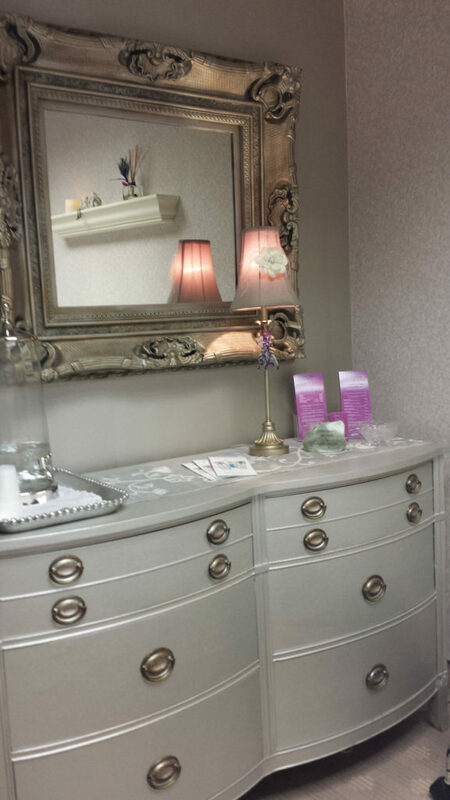 This dermal penetration also allow free radicals to damage the tissue, which can lead to skin cancer. Since most of us aren’t chemists, let’s think of a free radical stopping to damage other healthy molecules on its journey of companionship. To stop free radical’s chaotic behavior, we use antioxidants. Antioxidants are ingredients that deactivate, neutralize, or obstruct free radicals and can be found in many professional skin care lines anti-aging products. 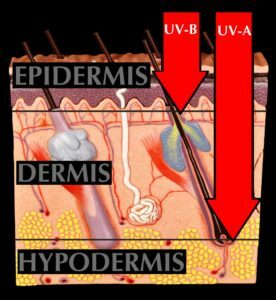 Although UVB rays make up less than 1% of the UV rays that actually reach Earth, they wreak havoc on our bodies by penetrating the top layers of the skin. 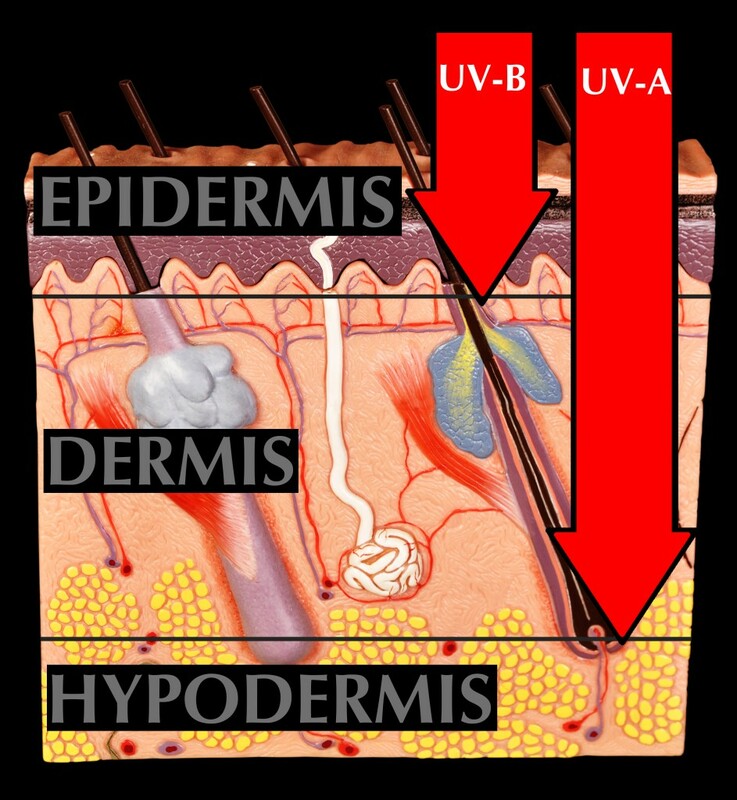 UVB rays damage the skin by activating and altering melanocytes resulting in hyper-pigmentation and uneven skin tone. Melanocytes are specialized cells that are responsible for producing the pigment we see in our skin, this pigment is called melanin. Melanin is a protein that not only determines hair, eye, and skin color, but also acts as a defense mechanism to protect the skin from the sun. To make it simple, UVB rays basically damage the “on/off” switch in the melanocytes which results in an increased production yet uneven distribution of melanin. SPF stands for “sun protection factor” and is the way we determine how many minutes a person can stay in the sun before they become sunburned. We often are confused by SPF, believing that it is blocking all of the UVA and UVB rays indefinitely, when in reality it is just lengthening the amount of time a person can be in the sun before the skin becomes red or sunburned. If a person can stay in the sun for 10 minutes before they get sunburned, an SPF 15 will allow that person to remain in the sun for 15 times longer, or 150 minutes. It is also easy to misunderstand that an SPF 30 does not have double the protection of an SPF of 15. An SPF 15 blocks about 93% of UV rays and an SPF 30 blocks about 97%, which is not a huge difference. You can get about the same amount of protection with an SPF that you would with a SPF 30 if you were vigilant about reapplication. Choose a sunscreen that you love, and will actually use because it will need to be reapplied about every 2 hours to maintain protection.